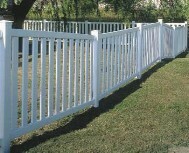 With vinyl fencing and gates there is no warping, splitting, rotting or insect damage to tend with like you should expect with a wood fence. 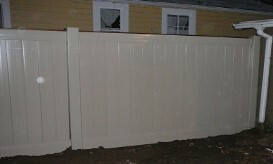 There is no need for re-sealing or staining every other year to try and preserve the beauty and integrity of your fence. 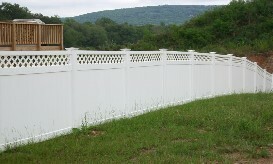 A vinyl fence adds curb appeal and will be a lasting asset to your property value. With an array of styles available from a simple picket to a full privacy fence, we are sure to have a fence that will suit you. 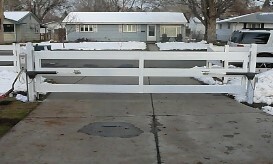 Vinyl fence and gate products are a deterrent to deterioration from moisture, temperature extremes, ultraviolet exposure, and time itself. Maintenance is reduced to an absolute minimum.